Netflix is notoriously secretive about its data, but it knows a ton about how and what you binge-watch. On Wednesday, Netflix released an analysis of which shows you tend to binge, and which you tend to “savour” (watch more slowly, defined as less than 2 hours per day). 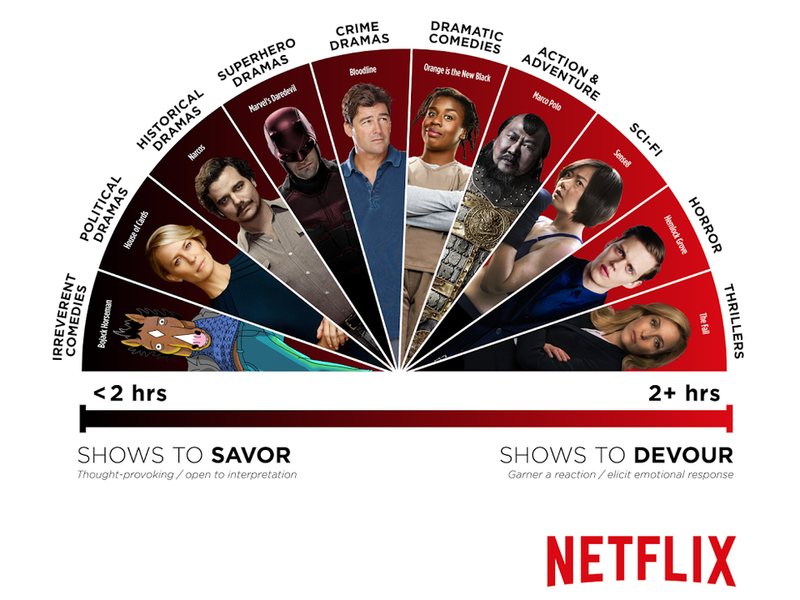 Netflix’s data analysts looked at over 100 Netflix originals (and second-run shows) that its users had finished watching, to try and figure out if there were any broad patterns that emerged. They found that people tended to burn through “high energy narratives.” These include dramatic comedies, sci-fi, action & adventure, horror or thrillers. On the other side, people took more time with “thought-provoking dramas” (political, superhero, crime, or historical), and irreverent comedies. is the show people take the most time with. 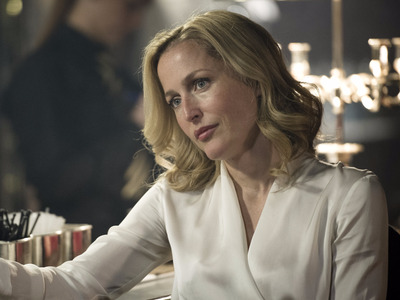 “The Fall,” a gritty serial-killer thriller, was the most binged. Netflix found that episode length had no effect on how binge-heavy a show was.